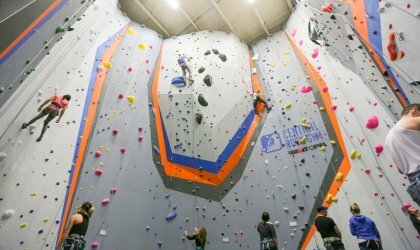 Come take our Intro Belay Class. 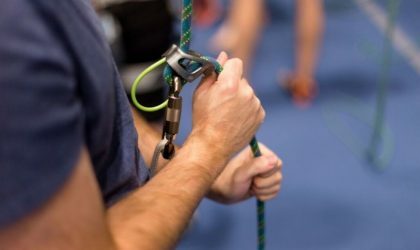 Learn to ‘belay’; the method of securing a climber on rope. You’ll also learn the knots and devices used to safely climb. This is required to use the ‘top rope’ walls without a staff member. “No Partner? 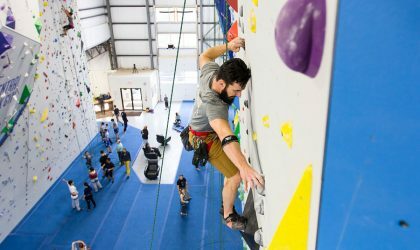 No Problem”, is a offering for belay certified members age 18+ to come in at select times to climb with a staff and meet new climbing partners also in need of a buddy. During Staffed Climbing, staff will take you out on high wall ‘top rope’ climbing in any area of our facility. You can climb and they will manage your safety while giving you advice for making it to the top.